Can you believe we're in the last week of March? (By the way, don't forget to enter my giveaway; it ends April 1st!) This year is going by way too fast; I can hardly believe Easter is just around the corner! It's already time again for my monthly free educational printable; I think you and your students will love this one! 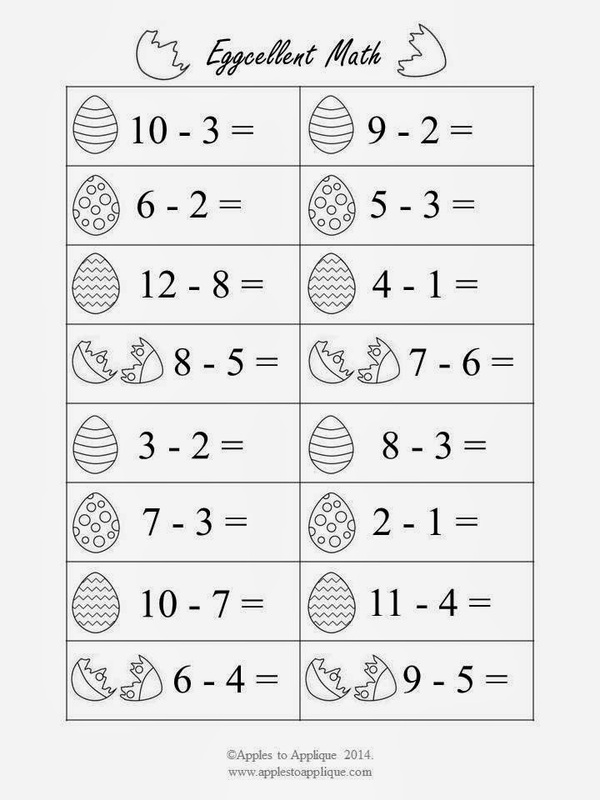 This month's printable is Easter-themed (of course) and gets your kids outside in the fresh spring air while also giving them practice with math. My students have lots of fun with this activity! You will need some plastic eggs and sidewalk chalk. If you don't have these things in your classroom already, you can get them at the Dollar Tree. Yay for cheap classroom activities! This printable is easy to use. 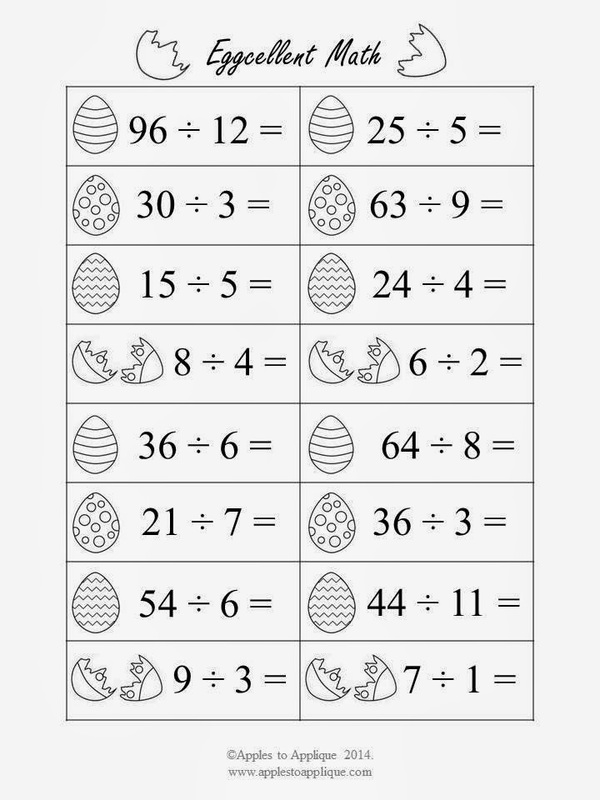 Just cut along the lines and place each math problem in a separate egg. Scatter the eggs outside in a grassy area (I don't hide them, but you could if you wanted) and place the chalk on a nearby sidewalk. Tell your students to get one egg at a time and bring it back to the sidewalk. Once there, they open the egg to find their math problem, then write and solve it with chalk. When they are finished, they put the problem back in the egg, return it to the grass, and go get another egg. It keeps them moving and thinking--wonderful for those kinesthetic learners! 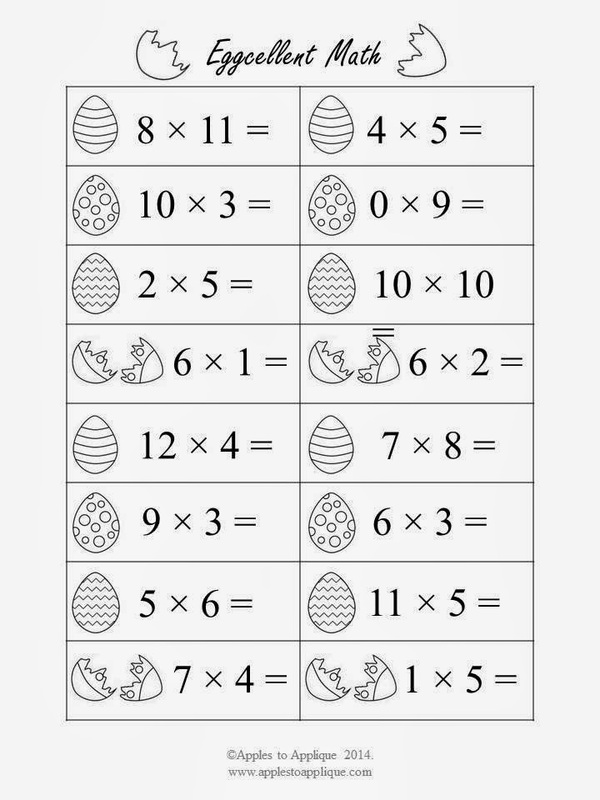 Because I like to cater to a variety of grade levels, I have made one sheet each of addition, subtraction, multiplication, and division problems. I'm also throwing in a blank template to get your creative juices flowing (although of course I have some ideas on how to use it listed below). In case of inclement weather, hide eggs in the classroom and let students solve problems with dry erase markers on the whiteboard or on their desks. Does anyone else's students *love* writing on their desks like mine do? Fill in the blank template with vocabulary words and have students write out the definition when they open the egg. 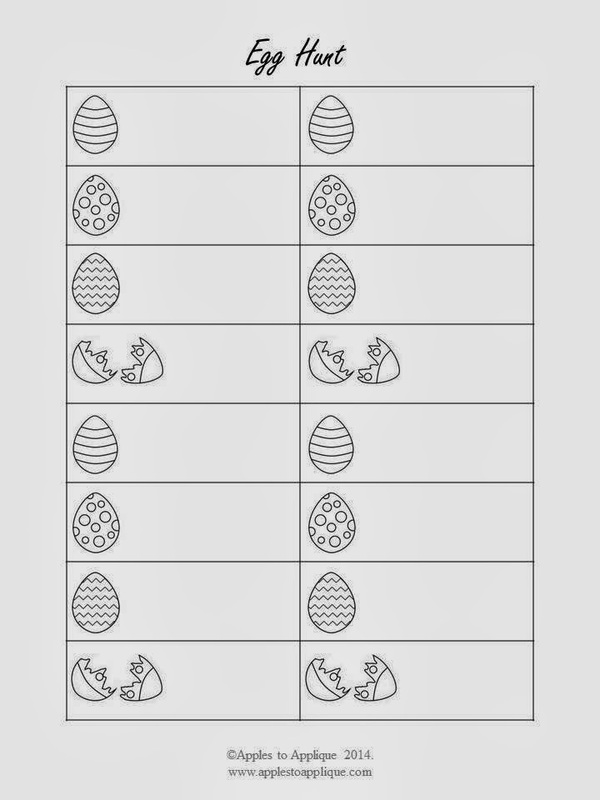 Fill in the blank template with spelling words and have students write the word three times before finding a new egg. Fill in the blank template with sight words and have students read the word aloud and write it. Have students fill in the blank template with math problems and trade papers with a friend to solve. 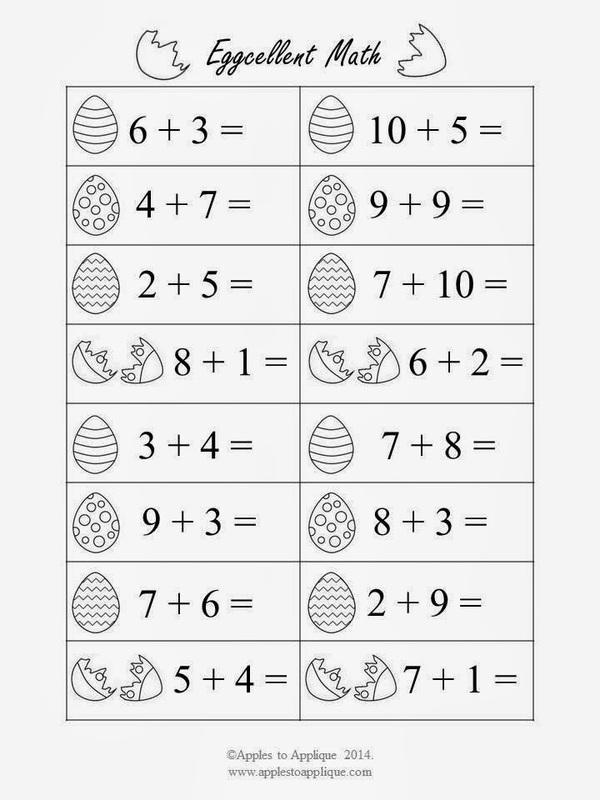 Right-click the images below to download and print the activity sheets. Please feel free to share and copy these printables. All I ask is that you credit Apples to Applique for the artwork and leave the copyright at the bottom of the page. Thank you! I hope you and your students enjoy! I would love to hear about your creative ways of using these printables--leave me a comment and tell me about it! Linking up with Treasure Box Tuesday, Wine'd Down Wednesday, the Wednesday Roundup, and Crafty Thursday Obsessions. You guys, I am so excited to announce my very first giveaway! I recently reached 50,000 pageviews and 100 likes for my Facebook page, so to say thank you to my awesome readers, I decided to host a giveaway! I am giving away a gorgeous hand-turned pen made of spalted box elder wood. My husband, who is a talented woodworker (as you may remember from when he made our daughter's crib and my yarn bowl) made this pen just for this giveaway. This Wall Street II style pen is one-of-a-kind, has black titanium accents, and is worth $50! Spalted box elder is a lovely type of hardwood with beautiful streaks of pink and red running through the grain pattern. The grain pattern with the red streaks almost has a marble look to me. So pretty! This pen uses Parker pen refills, so you'll be able to easily replace the cartridge when it runs out. Just gorgeous. This will probably become your new favorite pen. Seriously, guys, when my husband showed this to me after he made it, I had second thoughts about giving it away. But I love my readers, and you guys deserve the best! For a chance to win this pen, enter the giveaway at the end of the post, and good luck! The giveaway runs from March 18, 2014 at 12:00 am to April 1, 2014 at 12:00 am. On to the recipe! 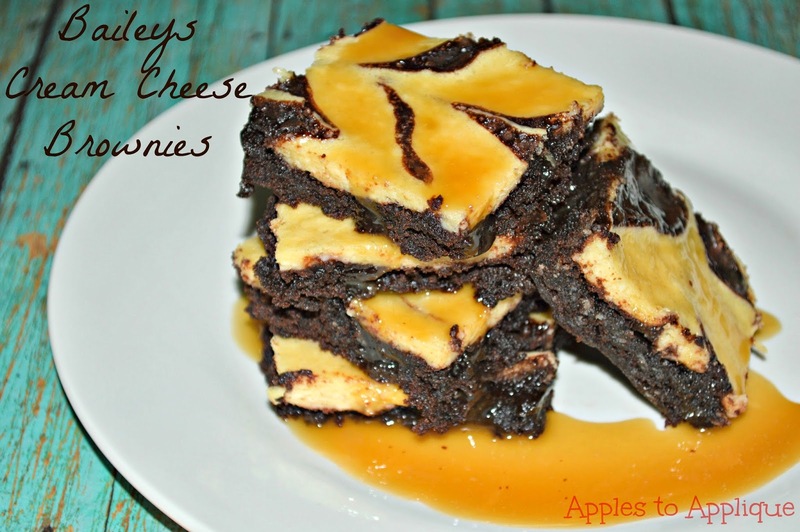 Baileys Cream Cheese Brownies with Bailey's Glaze. How scrumptious does that sound? 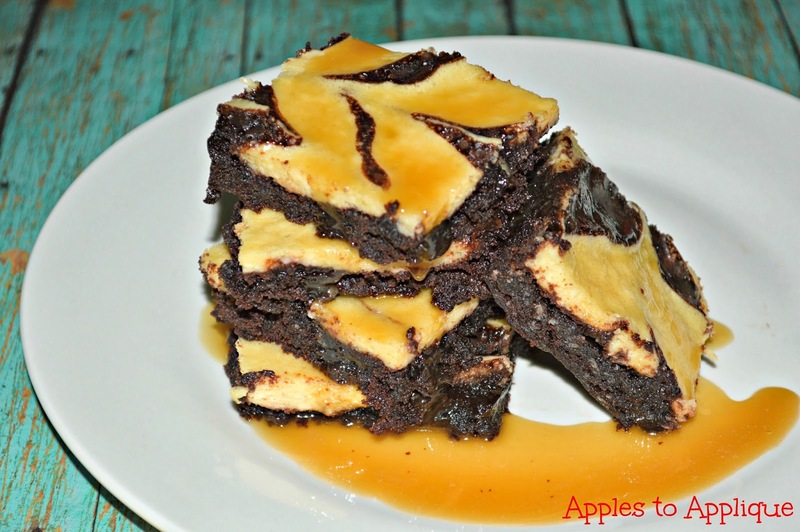 Plus they're quick and easy, because you start with a boxed brownie mix. Of course, you could always go the extra mile and make the brownies from scratch, but these taste good enough as they are that I didn't think it was necessary. Preheat oven to 350º (or temperature specified on your brownie mix box). Prepare brownie batter according to package directions and spread into baking pan. Set aside. In a mixing bowl, combine cream cheese swirl ingredients. Beat until well blended. 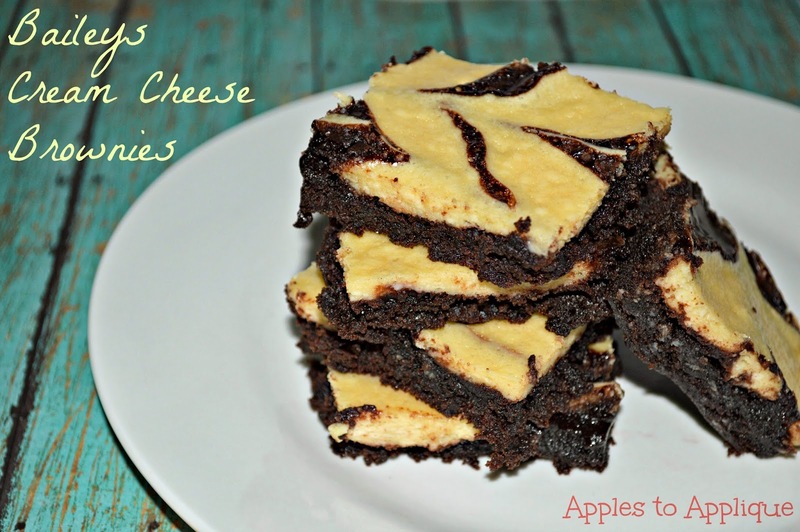 Swirl cream cheese mixture into brownie mixture. To make this look all pretty, start by pouring/spooning the mixture in a rough zigzag pattern. Then run a butter knife through the batter in a zigzag motion going the other direction. Look how pretty and fancy-looking it turns out! Bake according to the directions on the brownie mix. You may need to increase the time slightly. Just before serving, prepare glaze. 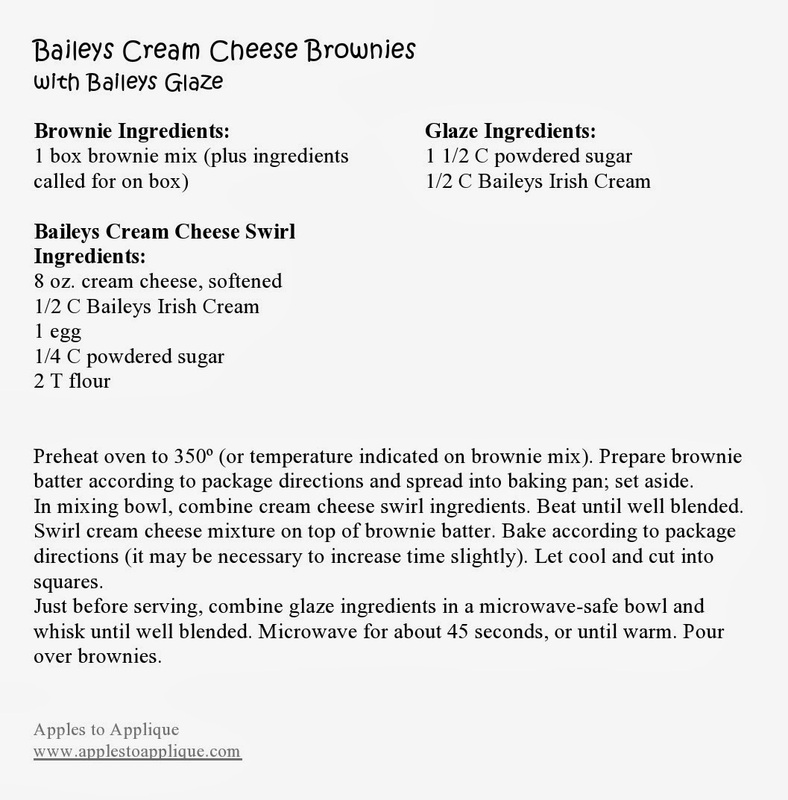 In a microwave-safe bowl, whisk together powdered sugar and Baileys Irish cream. Microwave for roughly 45 seconds or until warm. Stir and pour over brownies. Linking up with Treasure Box Tuesday, Take-a-Look Tuesday, Turn-it-Up Tuesday, the Let's Be Friends Blog Hop, the Wednesday Roundup, Worthwhile Wednesday, Full Plate Thursday, and Foodie Friday. The giveaway runs from March 18, 2014 at 12:00 am to April 1, 2014 at 12:00 am. Heat the oil over medium-high heat in a skillet. While the oil is heating, slice your avocados. You will need three bowls--cereal bowl size works fine. Bowl 2: Whisk together the egg and milk. Bowl 3: Mix a handful of flour with some salt, pepper, and cumin to taste. Some Mexican oregano would probably also be delightful. Each of the avocado slices gets dipped into each of the three bowls in order. The first coating of plain flour just needs to be a light dusting; wipe or tap off any excess. This fine dusting helps the egg mixture to stick, but too much flour will make the egg mixture slide off. After this fine dusting with flour, dunk the pieces in the egg mixture and then into the seasoned flour mixture. If you're finding that more batter is sticking to your hands than to the avocados, try rinsing your hands after every couple of slices. I rinse my hands after every two pieces or so; it takes a little more time, but it prevents the batter building up on my fingers and helps more of it to stay on the avocado where it belongs! When the avocados have gone through all three bowls, pop them into the heated oil in the skillet. Let them cook for a few minutes until they are golden brown, and then flip them over to cook the second side. When they are golden brown on both sides, remove them from the skillet and place them on a paper towel to absorb some of the grease. 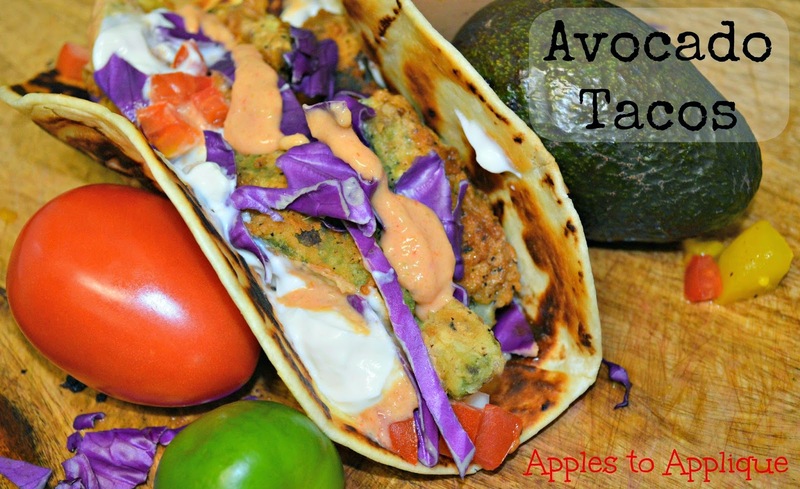 Place the avocados in a tortilla and pile on the toppings! I like shredded cabbage, chopped mango, tomato, tomatillo, cheese, and sour cream. This makes a pretty hearty and filling vegetarian meal. I love to eat it with chips and fresh salsa--or better yet, make a mango salsa to eat with it. Yum. I love fruit salsas! Enjoy, and let me know what toppings you prefer! Happy Saturday! I have family visiting this weekend, so we've been out and about to the Houston Museum of Natural Science, among other places. If you're ever in the area and get to visit, you should. 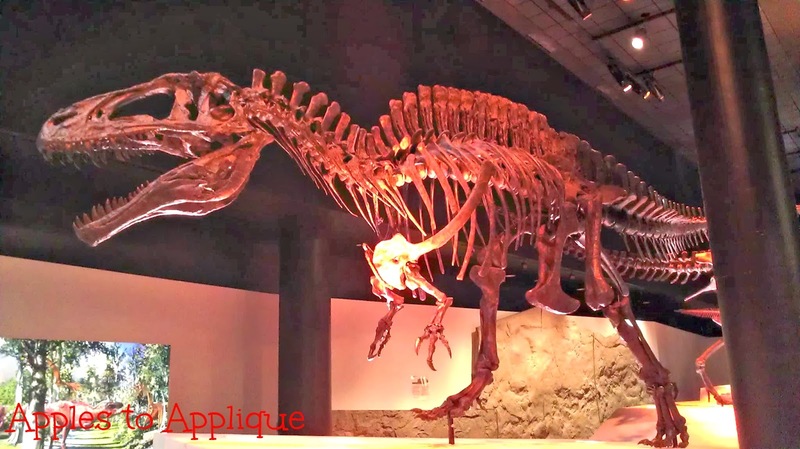 It's so fun for families, and the paleontology exhibit is amazing! It's one of my favorite places to go in Houston. Seriously, how cool is this guy? 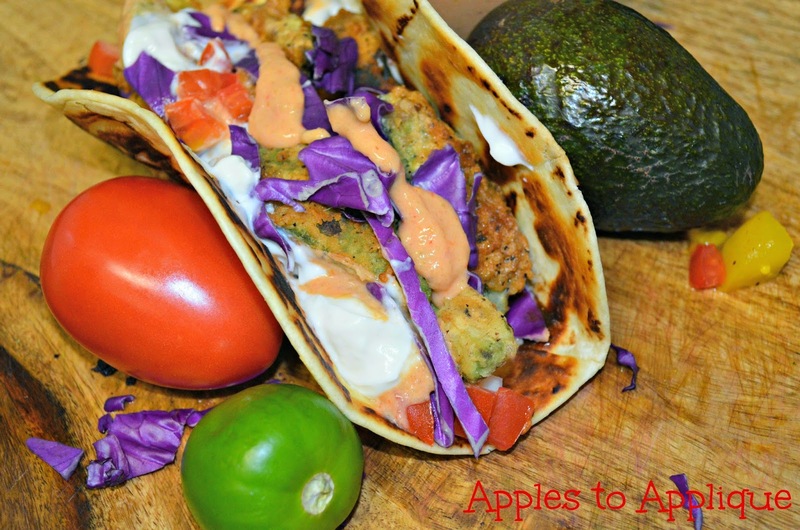 Another famous Houston attraction--the Rodeo--is also in full swing right now, so here's another recipe in honor of that! This is a shorter post than many of mine (as I mentioned, I have family in town, so they're my priority this weekend) but I wanted to share this recipe and also give you all a heads-up that I have a little giveaway in the works, details to be announced soon! Stay tuned! Anyway...you know how during the rodeo and the state fair everyone fries absolutely everything? Well, today I'm bringing you my contribution to America's unhealthy (yet understandable) obsession with delicious fried foods. 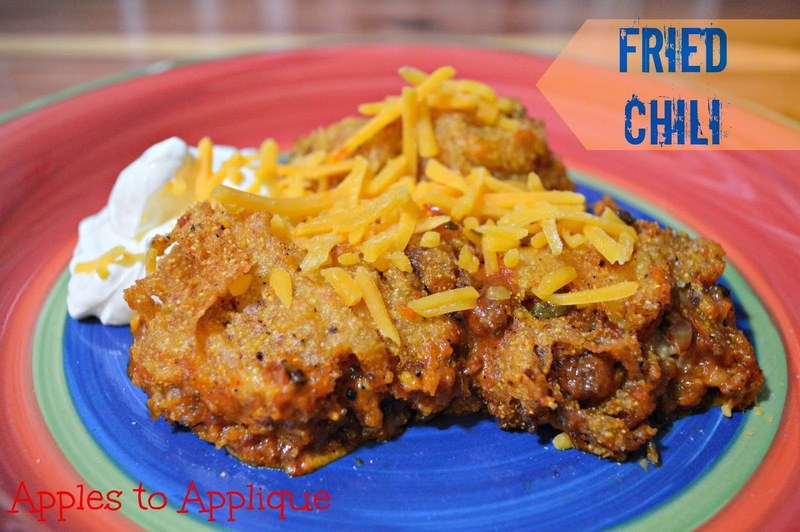 Fried chili. Doesn't that just sound amazing? Seriously, don't you want to jump into the picture and just devour that goodness? While I wouldn't recommend eating this as your main course (although it would be amazing and I promise I won't tell if you do), this makes a fantastic appetizer. You do need a deep fat fryer to make this recipe. This really won't work to fry in a skillet. 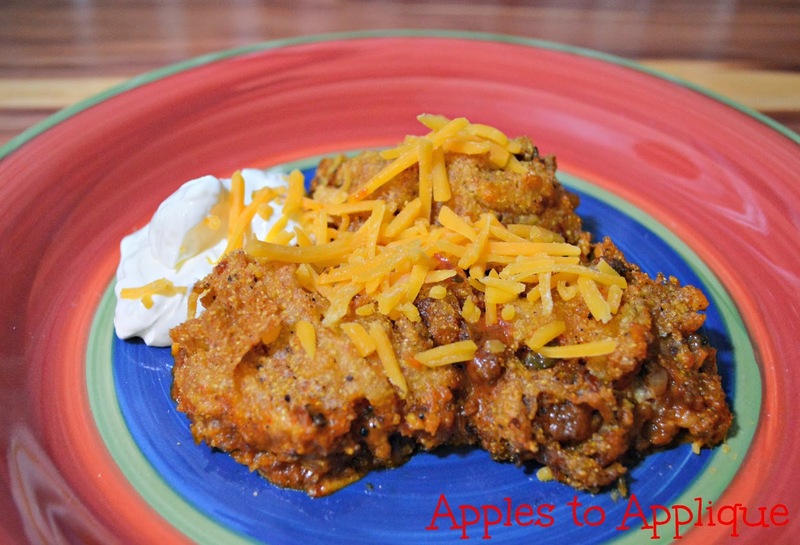 To make fried chili, you can start with pretty much any chili recipe, as long as it's not too soupy. 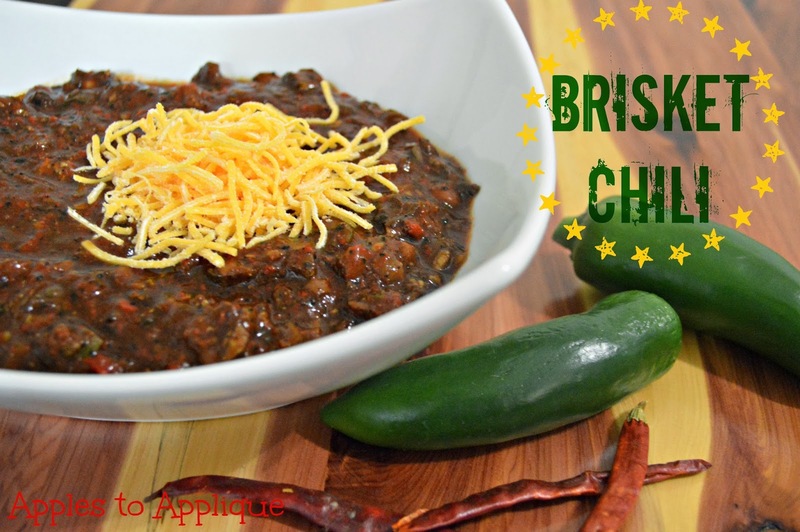 If you're looking for a great new chili recipe, check out my husband's amazing Secret Ingredient Brisket Chili. It is to die for; I'm still surprised he let me share the recipe! On to the recipe at hand! Heat the oil in your deep fat fryer. While your oil is heating, mix up the cornbread batter according to the package directions and set it aside. Scoop the chili into meatball-sized balls. Make sure it doesn't get too warm; you may even want to put it back in the fridge in between batches. Dip the chili balls in the cornbread batter, covering them as much as possible. This is a messy process. Actually, the whole thing is kind of a messy process, but that makes it fun, right? Place the cornbread-covered balls in a single layer in the frying basket. They won't be perfect, and that's okay. It's not easy to cover something like chili in batter. *Carefully* submerge the fry basket into the hot oil. If you have kids, it's a really good idea to make sure they are out of the kitchen by this point, as the oil sometimes splatters. I know that's common sense, but it bears repeating! Yum, look at that sizzle! When the cornbread has turned golden brown, lift the fry basket out of the oil. Hold it over the fryer for a second to let the excess oil drain off. These should cook fairly quickly. If it seems to be taking too long, or your chili starts falling apart, your oil may not be hot enough. Place in a dish in a single layer to cool. It would be a good idea to put them on a paper towel to absorb extra grease. Serve as promptly as possible. As it can take a little while to fry up the entire batch, the first ones may need reheated. It is best to do this in the oven, as they can get soggy in the microwave. Garnish with a little cheese, and serve with sour cream for dipping. If you try this recipe, let me know how it turns out! What is your favorite fried food, or what is the strangest one you have tried? Linking up with Treasure Box Tuesday, Turn-It-Up Tuesday, the Wednesday Roundup, Worthwhile Wednesday, Wine'd Down Wednesday, Full Plate Thursday, and Foodie Friday. Here in Texas, it's Rodeo season! It's all anyone talks about this time of year. What a perfect time for me to share with you my husband's recipe for his famous brisket chili. Y'all (yes, "y'all"--it's fitting for the season, ha!) this is the best chili I have ever tasted. Words fail me here, but it is amazingly good. If you're planning on having a rodeo party, or gearing up for a chili cook-off and want to finally beat that neighbor down the street, give this recipe a try! This chili is spicy; at a recent chili cook-off I overheard someone say they ate some of this chili and could still feel the burn after tasting three other bowls of chili. We like it that way (although I confess I keep a stack of Kleenex next to me when I eat it), but cut down on the peppers a little bit if you don't like your chili to have too much of a kick. Yep, it's coffee! Sounds weird, doesn't it? I know you're probably feeling a little apprehensive about this, but trust me, it's delicious! This chili uses ground coffee in the brisket rub and brewed coffee in the chili itself. I'm not a coffee drinker myself, so I was skeptical when my husband told me he was going to add coffee. I promise there is no "coffee flavor" to this chili, just an added depth of flavor. According to my husband, "when people taste this chili, the accolades pour forth in abundance, people find hope in their darkest hour, and the minstrels weep in exuberant jubilation." And so far, no one has guessed or even believed that the secret ingredient to this chili is coffee. I don't know why it is, but something about the combination of flavors here works so well together! We typically use a pre-marinated, pre-trimmed brisket, but you can also buy a plain brisket and use a rub or marinade of your own on it, in addition to the coffee and mesquite habanero spice, which can be purchased in a 3-pack using the link below. Or you could substitute some of your favorite spices; I would suggest some cayenne, garlic powder, onion powder, and possibly some liquid smoke. UPDATE 3/10/14: After receiving feedback from some more taste-testers, I've upped the spiciness to a 4 out of 5 without the Arbol peppers. If you like your food a little more mild, you may want to cut the amount of peppers in half. If you're not using a pre-marinated brisket, apply brisket rub to all sides of brisket. If you are using a pre-marinated brisket, begin at the next step. Liberally rub ground coffee over entire surface of brisket. Sprinkle on mesquite habanero spice and rub in, as well. Place in roasting pan fat-side up. Cook brisket at 350 degrees for 1 hour uncovered and then 2 hours covered (depending on weight of your brisket, cooking times will vary). While brisket is cooking is an excellent time to do the rest of your prep work. All of the peppers, fresh and dried, will need to have the stems and seeds removed. (The canned chipotle peppers will be used just as they are). Begin with the dried peppers. You will need to rehydrate and puree them. To do this, boil a few cups of water and add in the de-seeded, de-stemmed peppers. Boil for 15 minutes or until soft, then drain. Puree the peppers using an immersion blender, food processor, or blender. 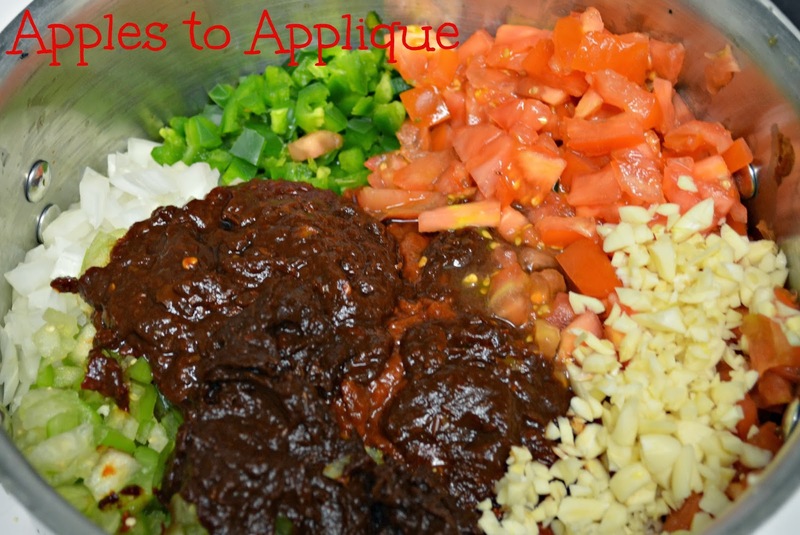 Add in the canned chipotle peppers, sauce and all, and puree them, as well. While the dried peppers are rehydrating, remove the stems and seeds from the fresh peppers and dice them. Make sure to wear gloves when working with peppers! "Two by two, hands of blue"...any Firefly fans in the house? Dice the tomatoes, tomatillos, onions, and garlic. Yes, there's a lot of chopping! The minute you taste this chili, it will all be worth it! When the brisket is fully cooked, remove it from the oven. Remove foil and let brisket cool for at least 20 minutes, preferably longer. 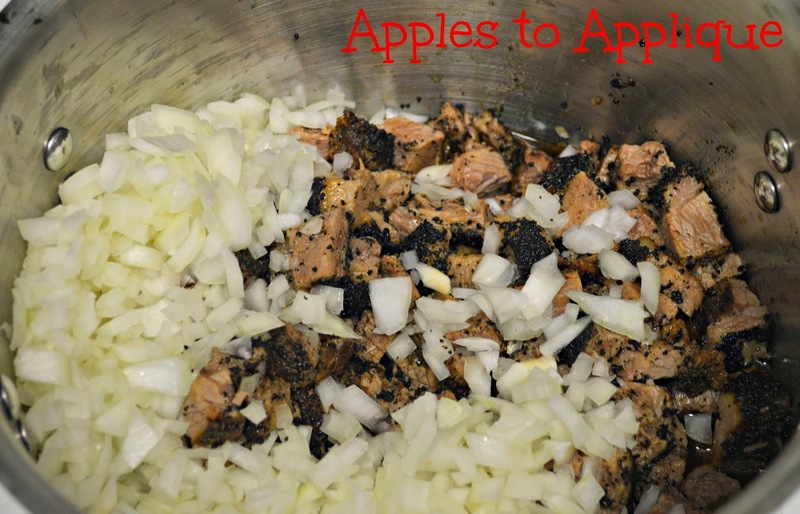 This will help it retain some of the juices and flavor. 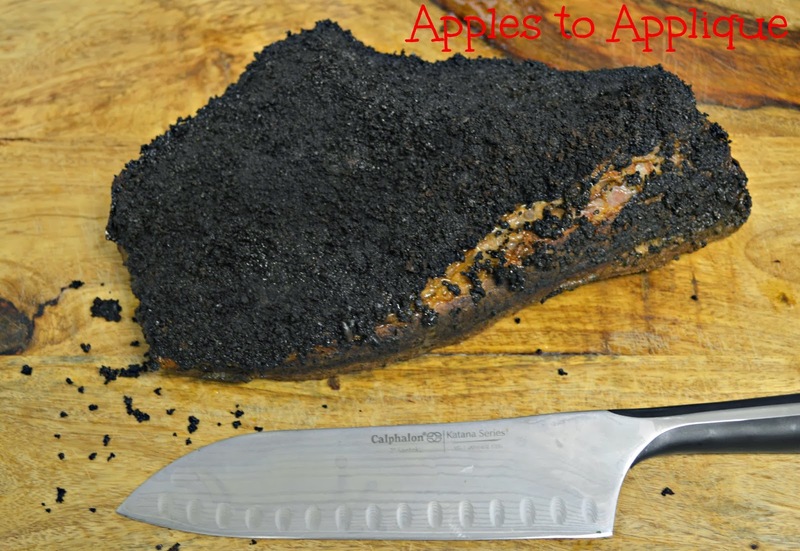 Place the brisket on a cutting board, but don't discard the fat and juices! Slice the brisket, and then cut the slices into bite-sized pieces. Okay, this is when your prep work finally starts coming together. The rest of this is a piece of cake! Dump all of the ingredients into a large pot--the brisket, all the stuff you pureed and chopped, plus everything else on the list you haven't gotten to yet. Give it all a good stir and let it simmer for at least 3 hours. We like to simmer it for several hours; the longer you simmer it, the better the flavors blend. The heat will also dissipate some the longer the chili sits. We usually spend an afternoon/evening making the chili, let it simmer until we go to bed, put it in the fridge, and let it simmer some more the next day before we eat it (or reheat it in a crock pot). Dish yourself up a bowl and top with some shredded cheddar and a dollop of sour cream. 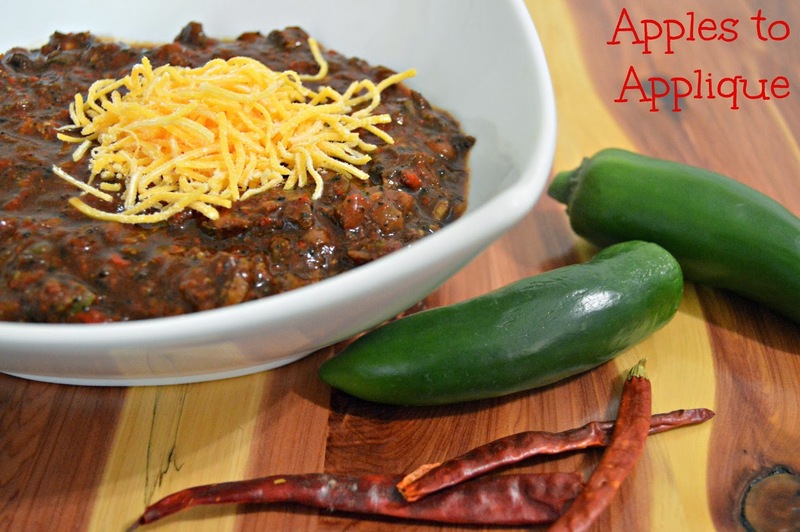 Enjoy eating the best chili you'll ever have! Right-click the image below to download a printable version of the recipe. Adapted from a recipe found at The Smoke Ring. Linking up with Treasure Box Tuesday, Turn-it-Up Tuesday, Worthwhile Wednesday, the Wednesday Roundup, Wined Down Wednesdays, Full Plate Thursday, and Foodie Friday.